Contains more digestive bitters than most laxative formulas. Increases the production of stomach, pancreatic and liver digestive fluids. A laxative fiber supplement. Provides bulk for regular stools to relieve constipation or diarrhea. Absorbs body waste products for quick removal. Liquid stimulant laxative for children and Others. Strengthens the colon and increases peristalsis to evacuate bowel. 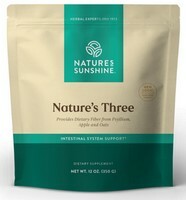 From NSP Nature's Sunshine - Complete body internal cleansing of metabolic waste. Supports intestinal regularity. Improves energy and well-being. Support to the bowel and liver. Promotes regularity in maintaining healthy bowel movements.